Leaders of the reform movement in Spain: Left to right: José Rizal, Marcelo H. del Pilar, and Mariano Ponce (c. 1890). Marcelo Azcárraga Palmero, the only Spanish prime minister of Insulares(Filipino) descent. Manuel L. Quezon is the Philippine President during the Commonwealth era. 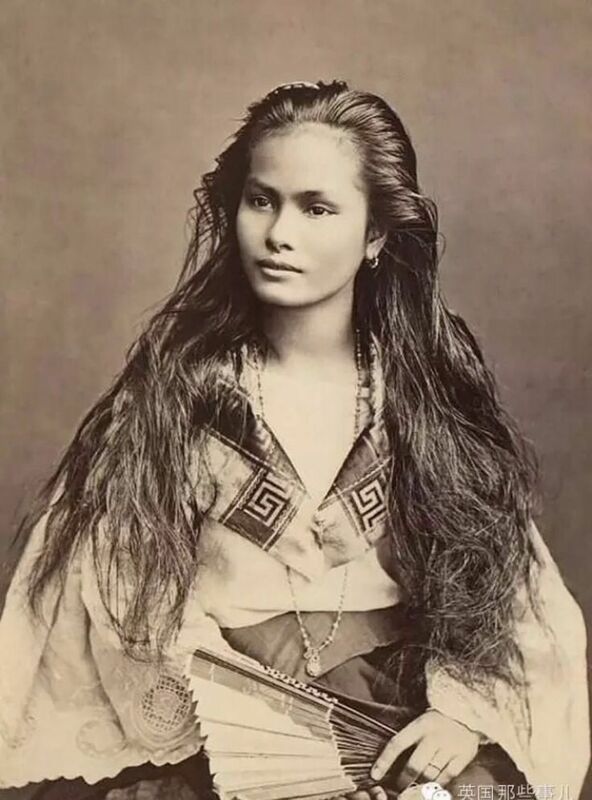 A mestiza de sangley woman in a photograph by Francisco Van Camp, c. 1875. Migration of the Austronesian peoples and their languages based on archaeological studies. The indigenous, native Philippine languages spoken around the country that have the largest number of speakers in a particular region with Tagalog being the largest. Note that on regions marked with black diamonds, the language with the most number of speakers denotes a minority of the population. Universidad de Sta. Isabel Founded on 1867 through the royal order of Queen Isabella II of Spain. Image of Our Lady of La Naval de Manila (Spanish: Nuestra Señora del Santísimo Rosario de La Naval de Manila), which is linked to several naval battles of Spain against Dutch forces invading the Philippines. Filipino migrant workers in Victoria Park in Hong Kong. Filipinos Facts for Kids. Kiddle Encyclopedia.